I was on London Live this morning discussing what is happening today at London Assembly’s Planning Committee. I will be hearing from experts on how to design homes that meet family needs. The committee will be looking at is how we can increase the capital’s housing density through innovative design, without sacrificing the quality or sustainability we have come to expect. The capital is facing a growing housing crisis and its vital we find new and innovative ways to build the homes, for both individuals and families, that Londoners are crying out for. Boris Johnson has admitted that he is unlikely to reach his target to create 250,000 apprenticeships between 2012 and 2016. The Mayor made the admission during a BBC interview marking the start of National Apprenticeship Week. Just four months after analysis from London Assembly Member Navin Shah revealed that apprenticeship numbers in Brent and Harrow had fallen for two years running. The Mayor is “utterly failing young people” after it was revealed today that amongst those apprenticeships which have been created, over half have gone to people over 25. Government changes have meant that some types of in-work training have been reclassified as apprenticeships. The vast majority of people over 25 in apprenticeships already worked for their employer before starting an ‘apprenticeship’ under the new system. Boris Johnson has a vast mountain to climb if he is going to come anywhere near delivering the quarter of a million apprenticeships he promised Londoners by 2016, particularly as in some boroughs, like Brent and Harrow apprenticeship numbers are actually falling. Even with those apprenticeships which are being created, almost half of them are going to people over 25 years old and already in work. I’m greatly in favour of supporting people to develop their careers, but the government’s approach leaves the apprenticeship programme utterly failing young people. The Government’s meddling with the apprenticeship system has meant in-work training which would have happened anyway is gobbling up the limited funds. This is locking out young people who desperately want an apprenticeship to give them a first step on the career ladder. - Mayor Boris Johnson pledged that between 2012 and 2016 he would create 250,000 new apprenticeships in London. - In response to a recent Mayor’s Question response the Mayor stated that between April 2012-June 2014, 96,500 apprentice starts have been reported in London. The table below details the total number of apprentice starts achieved over this timeframe, broken down by quarter and academic year. Note: Apprenticeship starts are not reported on a monthly basis so Q1 2012/13 includes starts reported in April 2012. Note: Q1 2014/15 data is provisional and cannot be verified until Q1 2015/16. Note: Q2 2014/15 data is expected late March 2015. - 93% of apprentices over the age of 25 already worked for their employer prior to starting an apprenticeship. The Home Secretary’s decision not to licence water cannon for use on London’s streets at this time should be a clear signal to Boris Johnson that his proposal was ill-judged. Experiences in other countries have shown just how dangerous water cannon can be. They should have no place in our capital city. Just last month New York’s Police Commissioner Bill Bratton warned that water cannon had a “horrific history” and would not be “contemplated being used anywhere in America.” It’s hard to see why then the Mayor is so keen on seeing them in London, especially when there is little evidence to support their use. The Association of Chief Police Officers for example said there are only three occasions in the last ten years when their use may even have been considered. The Met Police are already facing massive budget cuts. It’s time for Boris Johnson to accept he was wrong, sell the water cannon and reinvest the money in things the Met actually need. 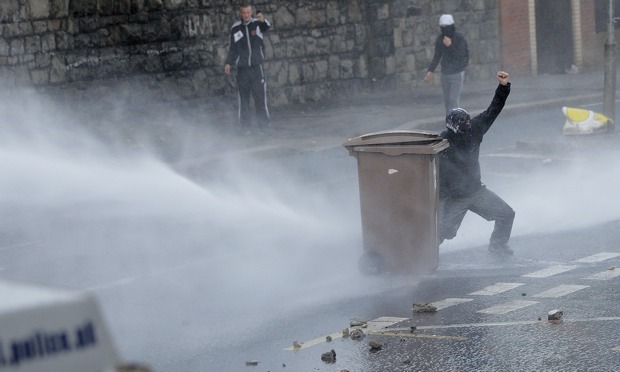 People want police on their streets, not water cannon weapons sitting unused. The Home Secretary now needs to hold firm and rule out the use of water cannon not only until the after the election, but for good.